I hope everyone had a great and safe 4th. of July. 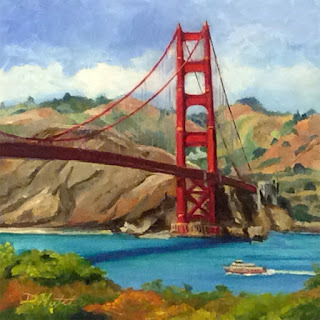 I finished and posted on DPW, a landscape of the San Fransisco Bridge. 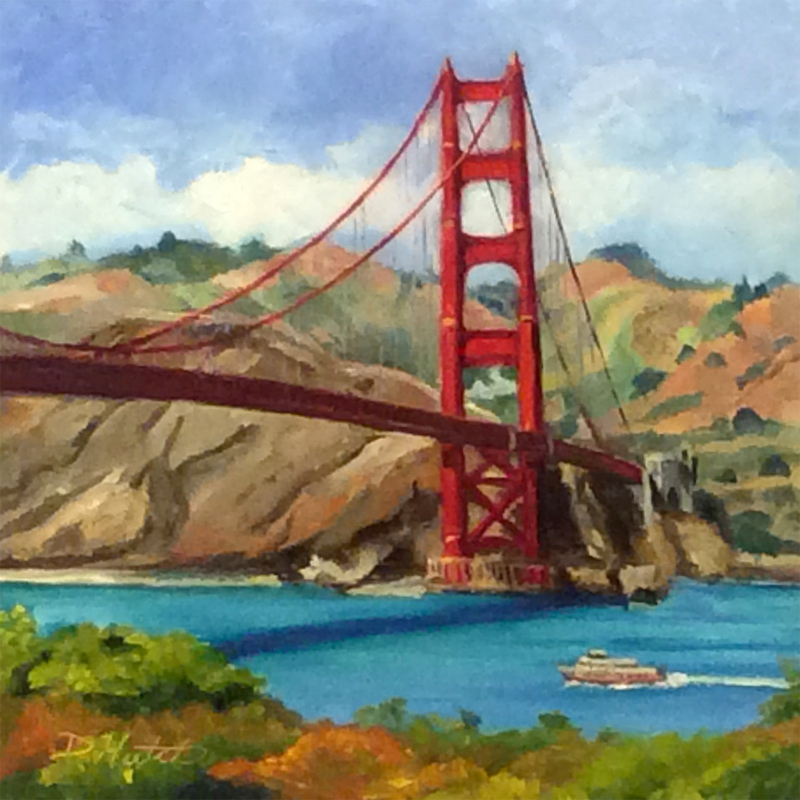 I accentuated the colors to make the 6"x6" oil painting more eye catching and romantic. You can see (or bid) on it here. "I Left My Heart"